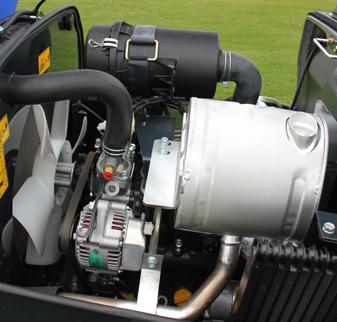 Rear or Side Discharge | 31hp or 37hp | 60" or 72"
HUGE MANUFACTURER DISCOUNT ON NOW! Grab the 31hp SF310 with a 72″ Deck and 4-Post ROPS for just $21,999! Offer available only while stocks last! Visit your nearest showroom or enquire online today! 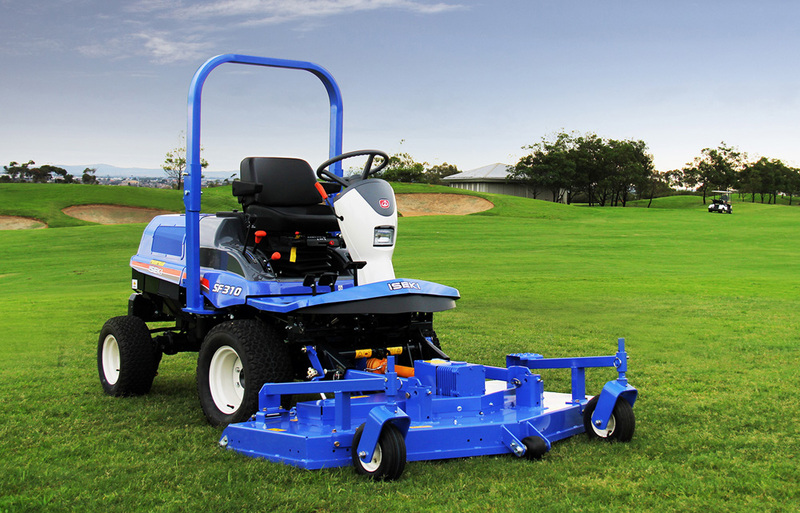 Professional quality SF Series out front mowers are designed to give an excellent cut and finish in heavy conditions. 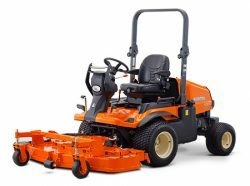 SF Series out front mowers combine rugged reliability and efficient, powerful engines that develop peak torque at low revs – giving you power where you need it and making easy work of heavy conditions. 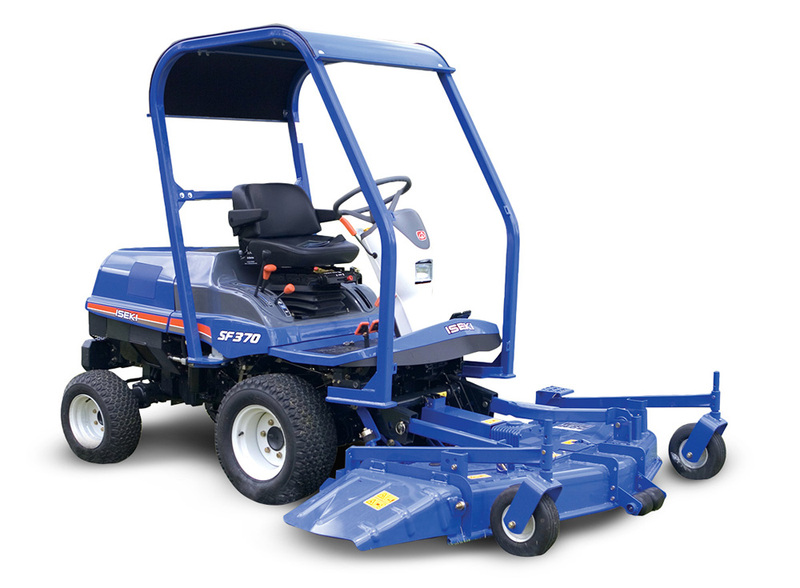 Ideal for commercial operators and municipal applications, SF Series out front mowers are available with a side or rear discharge deck and a choice of a diesel or turbo diesel engines. 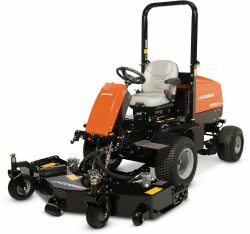 Designed with operator comfort in mind, SF Series out front mowers feature innovations that reduce fatigue and increase productivity. 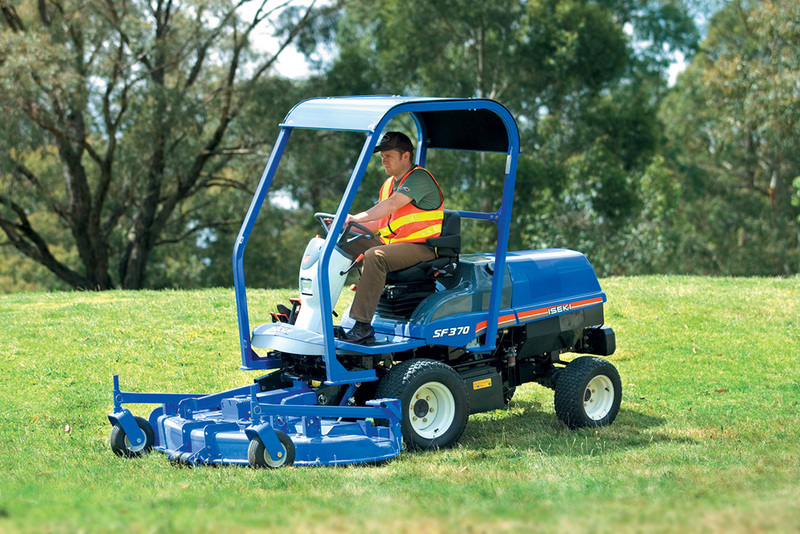 For full specifications and a better look at the SF310 and SF370 please download the brochure. Rear Discharge Deck: Iseki’s 72″ rear discharge deck features easy maintenance and a rugged design. An optional mulching kit is also available. 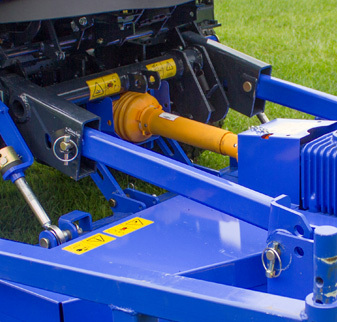 Side Discharge Deck: 60″ or 72″ side discharge deck with a three blade pressed steel design. 25-120mm adjustable height and anti-scalping rollers. Side, Rear and Flail | 2WD or 4WD | 60", 63" and 72"